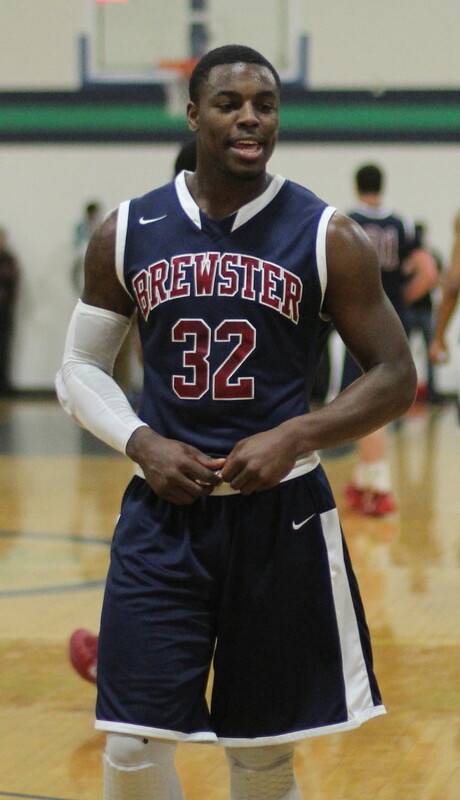 (Beverly MA) Brewster Academy (30-2) scored all the points (seven) in the last two minutes and won their second straight NEPSAC AAA title defeating New Hampton School, 68-63, at Endicott College on Sunday night. Donovan Mitchell was named MVP although a very strong case could have been for teammates Devonte Graham or Jared Terrell qualifying for that honor. New Hampton, led by Elijah Bryant (18 points), built up a big lead (sixteen points) in the early going and it wasn’t until the six minute mark of the second half that Brewster was able to catch up. The Huskies went into the last two minutes of regulation with a 63-61 edge but were shut out the rest of the way. A three by Devonte Graham (15 points) and four straight free throws on one-and-ones by Donovan Mitchell (15 points) pushed the Bobcats even and then on to the title. 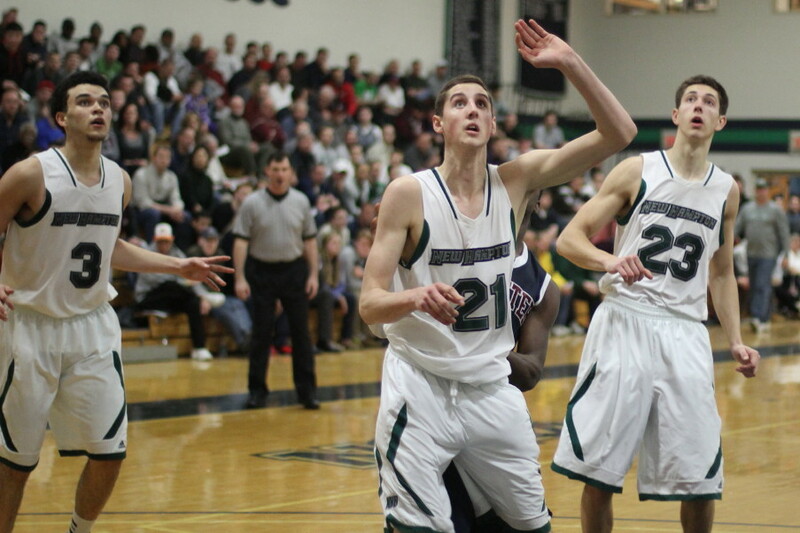 With the loss the Huskies (22-8) had a ten-game winning streak ended. 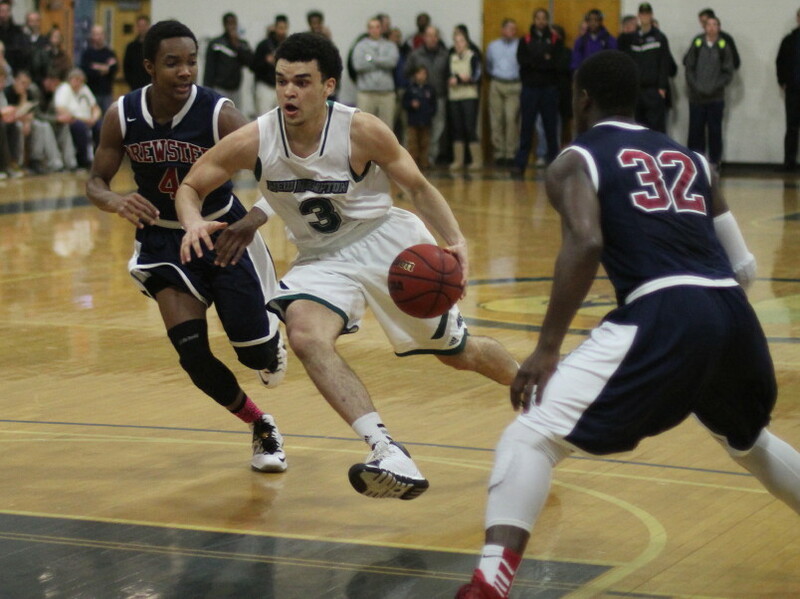 They had faced Brewster twice during the regular season and lost 81-72 and 78-54. 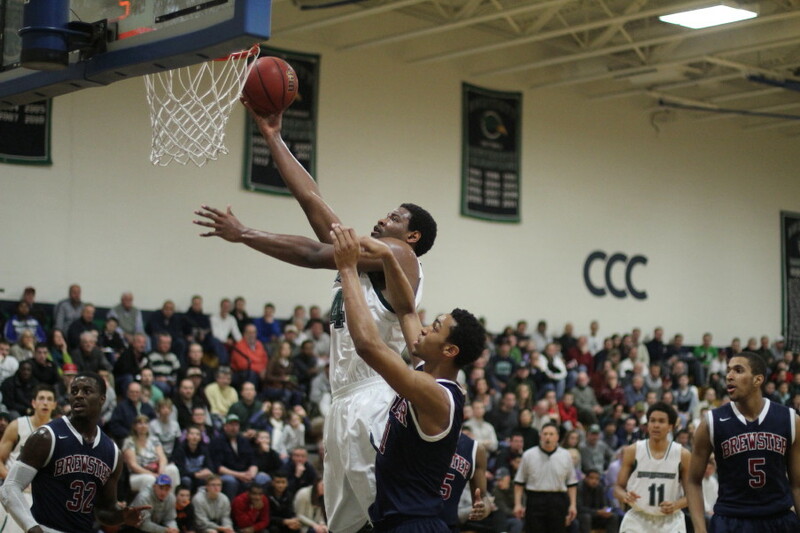 That history made New Hampton’s rousing start so surprising. 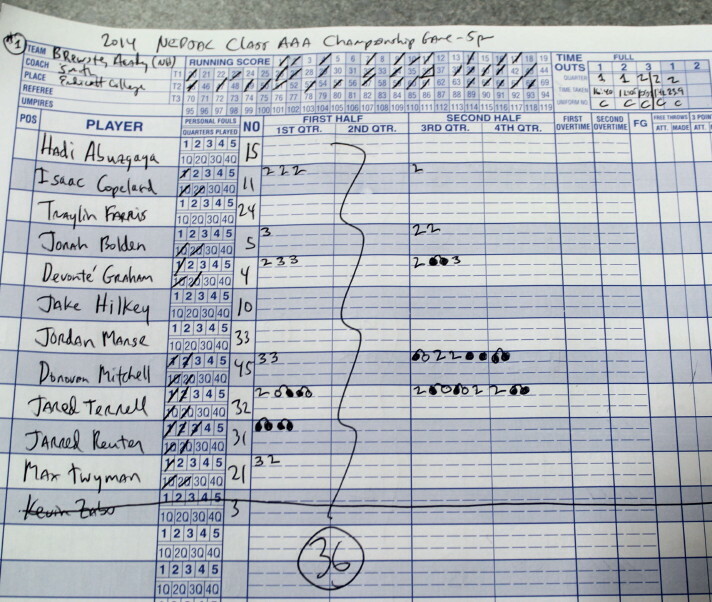 The Huskies rattled off nine straight at the outset and had a 23-7 spread after eight minutes. 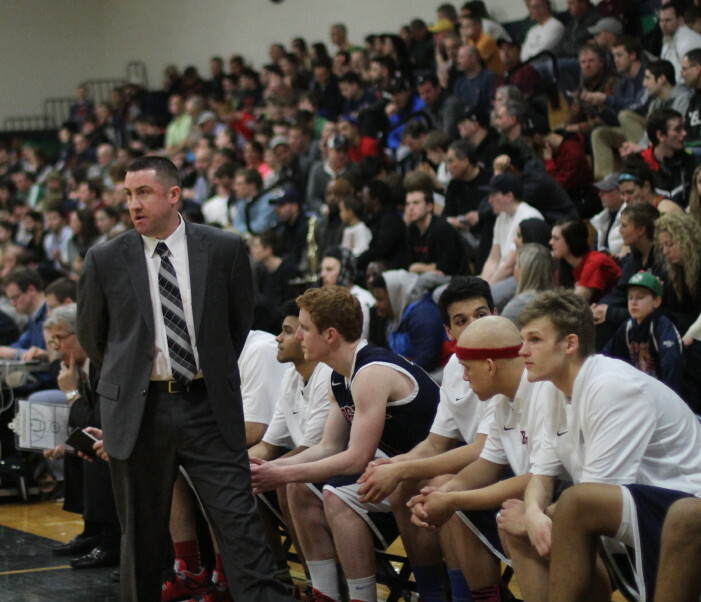 BA coach Jason Smith went through two timeouts before things settled down for the Bobcats. 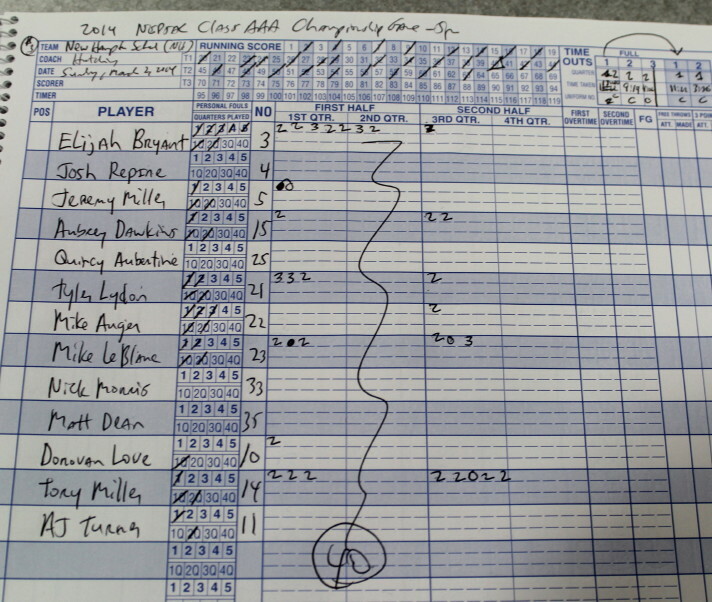 Down 38-27, BA put a nine-point package together (six points from Isaac Copeland) and closed to, 40-36, at the half. Knowing the history of the two previous matchups between the teams I figured BA would quickly take the lead in the second half and pull away. That’s not how it went. 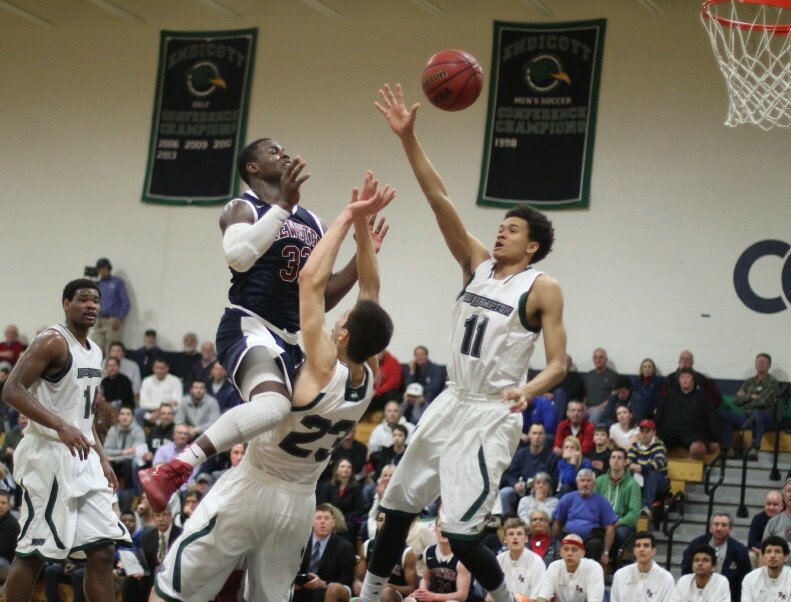 A couple of jams by impressive Tory Miller had NHS up by seven (46-39) before Brewster’s dynamic Jared Terrell (14 points) took over. The Oklahoma State commit hit two free throws before exciting the full house with a dunk and then a steal and another dunk. BA was now within one but the lead still eluded them. It took a driving layup by Isaac Copeland (Georgetown commit) to put the Bobcats finally in front, 55-54, with six minutes left. New Hampton, however, refused to go away. A layup by Tory Miller (14 points) and a three from Mike LeBlanc (10 points) sent the Huskies to a, 63-61, advantage with two minutes left. That made it a two-minute game for the title. 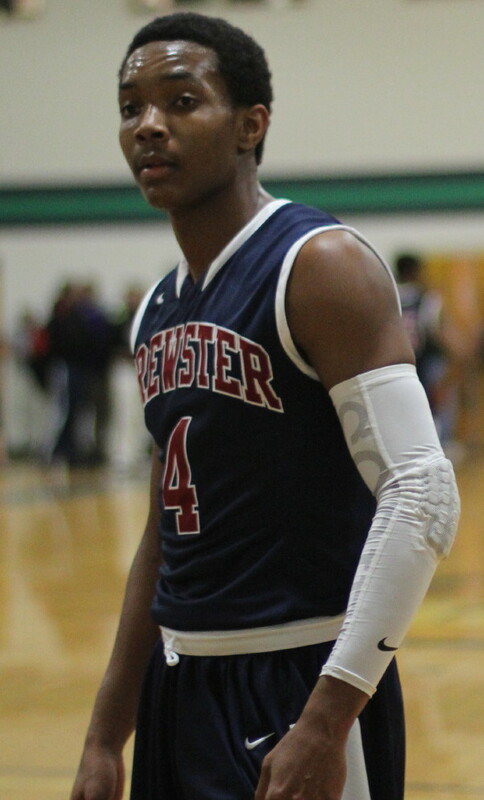 NHS came up empty with a turnover and a missed layup (Aubrey Dawkins) to show for two of their possessions in the crucial last minutes. 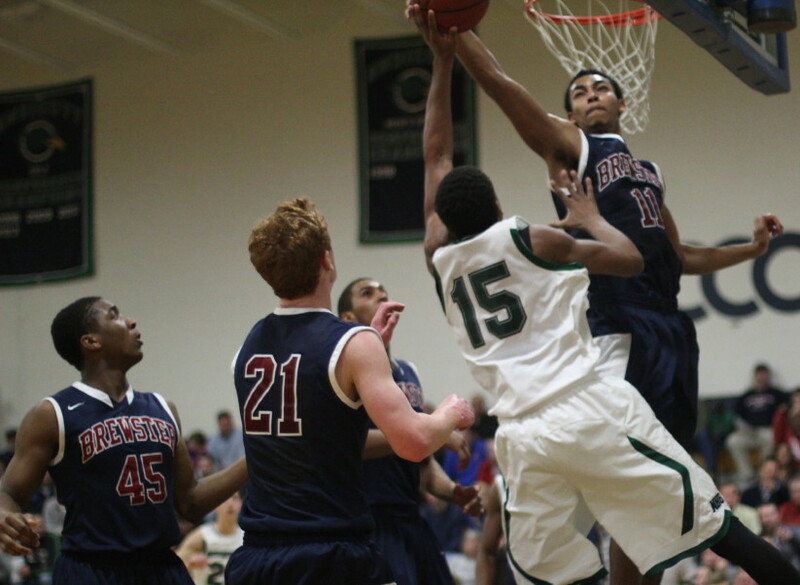 Devonte Graham’s three gave Brewster the lead for good and Donovan Mitchell’s four free throws iced the title. 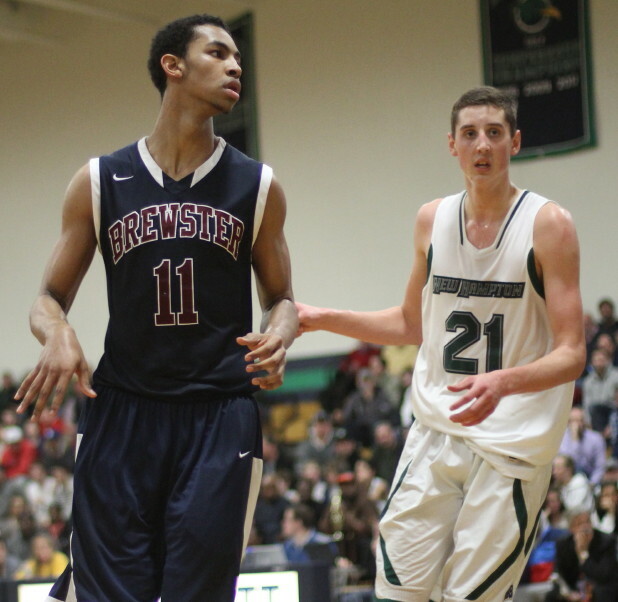 Brewster has now won nineteen straight. They had two losses in December (St. Thomas More & Sunrise Christian) but have been clean otherwise. 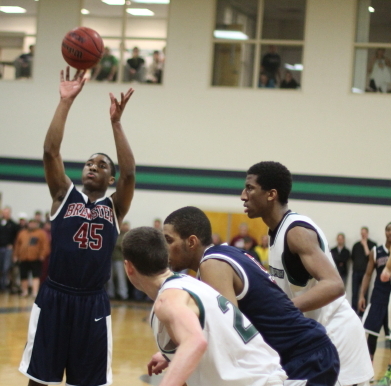 Brewster had to defeat Northfield Mount Hermon to reach this year’s finals. 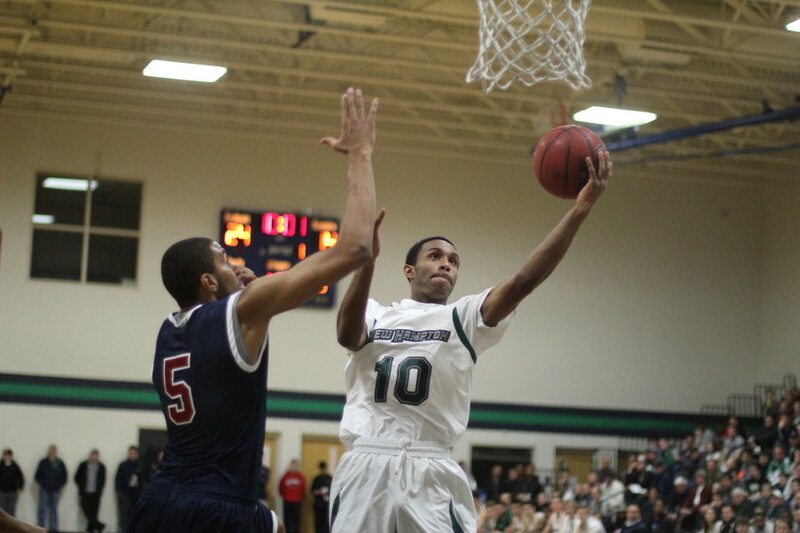 NHS needed to get past Bridgton Academy and St. Thomas More to get there.